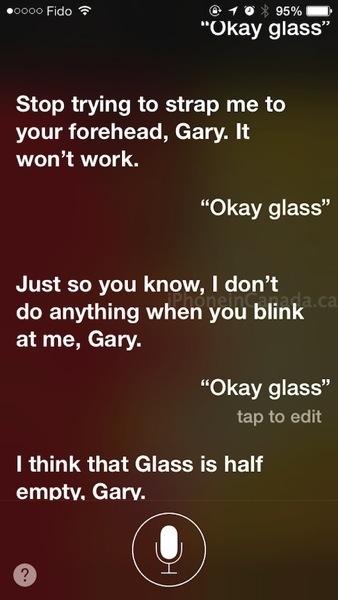 Apple’s virtual assistant Siri is known to be funny and have a dose of attitude. Her latest shenanigans include dogging on Google Glass, the futuristic eyewear which also doubles as a full-fledged communicator on your face, which as resulted in a bunch of “glassholes” proudly debuting their new toys. Apple CEO Tim Cook at D11, downplayed Google Glass as a possible trend for wearable technology, instead saying “I think the wrist is natural,” leading many to believe an iWatch is coming.